Jabberwock: Charters and Caldicott in Bollywood? Charters and Caldicott in Bollywood? "England's on the brink," whispers Charters to Caldicott. "We must get in touch with London immediately." It's an early scene from Alfred Hitchcock's The Lady Vanishes, and this is talk loaded with all kinds of possibilities – after all it's 1938, with the spectre of war looming over Europe, and this is an espionage story involving coded messages and unlikely spies. Stranded in a train station somewhere in Germany with numerous other passengers, the two Brits talk furtively about the need for "news of the latest developments". A suspenseful 10 minutes or so later comes the kicker: the information they are so desperate for is the score from the Oval Test match. 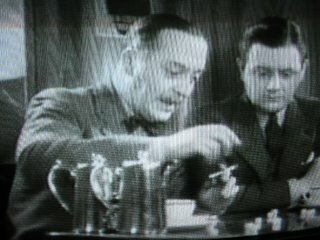 As played by Basil Radford and Naunton Wayne in one of Hitchcock's most compact early films, Charters and Caldicott became so popular that they featured in a number of other movies in the 1940s and early 1950s, mostly comedies or thrillers set on trains. Each time they were the archetypal conservative Englishmen abroad: keeping their own counsel, perplexed by the manners and customs prevalent in other countries, perennially discussing their beloved sport, even using cubes of sugar to explain fielding positions to each other (and drawing frosty glances from fellow passengers who wish to use said cubes to sweeten their tea). Nor was cricket a mere sidenote in these films: occasionally, it supplied an important plot turn. In The Lady Vanishes, for instance, the young heroine, trying to convince the authorities that an old lady has mysteriously disappeared, approaches Charters and Caldicott: surely they remember seeing dear Mrs Froy? But the two men don't want to risk the possibility that the train will be delayed – they have to get back to London in time for the final day's play, dash it – and so they deny any knowledge of a missing person, further complicating the plot. Even in the 1930s, when cricket was still very much an English sport, there was something incongruous and mirth-inducing about the magnificent obsession of Charters and Caldicott – as indicated by their status as comic relief in film after film. On long train journeys through the Continent they would naturally suffer foreigners who barely knew of the game, let alone understood why it would rouse such passion. But even the other British characters in these movies regarded them with bemusement. ("I don't see how something like cricket can make you forget seeing people!" exclaims the heroine disdainfully. "Oh you don't, do you?" sulks Charters, "Well, there's obviously nothing more to be said.") They were misfits everywhere they went. Whimsical though the idea might be, I can't shake the feeling that Charters and Caldicott would have been more at home in cricket-themed Indian movies – movies like Dev Anand's gloriously kitschy Awwal Number, Ashutosh Gowrikar's ambitious Lagaan (two films that have very little in common, notwithstanding that Aamir Khan finishes a crucial match with a sixer in each) or Nagesh Kukunoor's graceful Iqbal. There would of course be teething problems in such a leap across time and space; initially they would be very much the insular Englishmen – "oh I say, must we watch the Natives besmirch the good old game now?" 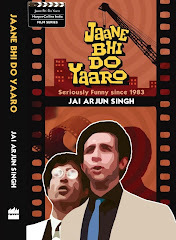 – and Bollywood's cinematic idiom would be a mystery greater than any Hitchcock ever filmed. But nobler sentiments would eventually prevail. 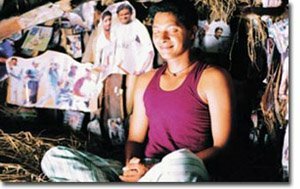 They would instantly relate to the unselfconscious reverence shown to the game by Bollywood, appreciate how much hinges on the outcome of the match in Lagaan, and how much it matters to everyone watching. They would approve of Iqbal, a film that literalises the notion of cricket-as-religion – in scenes involving the little shrine where the protagonist puts up photos torn from magazines; Iqbal bowing his head and closing his eyes in prayer before beginning his bowling run-up; the unexpected second chance for salvation given to the embittered former cricketer played by Naseeruddin Shah. One thing they wouldn't understand would be Indian cinema's persistent, self-conscious need to present cricket as a metaphor for Something Bigger: as in "A story above cricket", Iqbal's slightly pretentious catchphrase which forgets that sport is never just about bats and balls anyway; the reason it's so compelling in the first place is because it's grand human drama presented with such immediacy. But Charters and Caldicott never needed any such justification anyhow: they were the breathing antitheses to C L R James's famous line "What do they know of cricket who only cricket know?" The only thing they knew or cared about was cricket itself; it would never have occurred to them to use it as a symbol for, say, England keeping Germany at bay during the War (and what did those blasted Germans care about the game anyway?). Their love for the sport was pure and untrammeled; in spirit, in all the things that matter most, they were no different from the glaze-eyed masses watching in reverential silence as Aamir Khan takes guard with everything at stake. 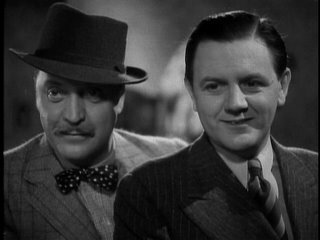 On an Indian train, Charters and Caldicott would never have faced the ignominy of a blank stare when they asked someone for the latest score. In Bollywood, they would have fit right in. Jolly good article, Jolly Jai. Jolly good shot, old chap, what! Very topical at this moment, when England require 52 runs from 2 overs. Jai: Lovely. One of the reasons I love The Lady Vanishes as much as I do is because of the presence of those two in it - every time the story shifts away from them and back to the main plot I feel a twinge of regret. All this murder / espionage stuff is fine, but Charters and Caldicott are something else (and it isn't just about cricket either - it's the Englishness of it - the incident with the maid's room, the dinner scene - brilliant stuff). More generally, it always amazes me when people go on and on about Hitchcock being the master of suspense. I'm convinced this means that they've never seen anything but Psycho. What I love about Hitchcock is actually the opposite - the way his movies are about so much more than suspense, how he manages to combine all that high paced tension with genuine comedy, with tender romance. For all the gripping suspense in his films, there are times in Hitchcock when you could be watching a Lubitsch / Billy Wilder film instead. The fact that he manages to pull that off without making it seem awkward or losing momentum, more, the way he manages to make the comedy / romance elements pivotal to the plot is amazing to me. The deeper point, I suppose, is that the fact that he makes his characters so endearingly human, so resolutely everyday is what gives the tension in Hitchcock it's thrilling edge. It's the idea that the people involved are not highly trained agents / superheroes, but ordinary folk. Still, for me it's the way he can switch in a moment from making you laugh to making your skin crawl with suspense that makes him so special. Falstaff: thanks. On the whole I still prefer his later works to the early Brit films. But the early films are perhaps better pointers to what a versatile director he could be. Incidentally, you might want to read this post about Hitch and screwball comedy. Off the topic, have you seen "Passport To Pimlico", that rare Ealing gem? Radford and Wayne play two characters from the British Foreign Office and Home Office. Absolutely hilarious! The Ealing comedies are gems, & a worthy rival to the best of Hollywood. The other C&C movie I had seen was Carol Reed's 'Night Train To Munich'. The British Council Library in Calcutta had a Carlton edition on VHS many years ago. Trains & cricket again. Like Lady that movie was also written by the Frank Launder/Sidney Gilliat team, who created some excellent British comedy thrillers ("Green For Danger" is one I remember very fondly). I even found a detective story featuring the pair published by Penguin. Of course nowhere near as good as the movies. I read they even had a radio show, & I would have loved to hear that. J-wock, loved the last para, & that Aamir Khan trivia. Didn't know that these two were a pair in several films! Interestingly, the Oval Test match of 1938 was a resounding win for England with Hutton beating Bradman's record with his 364. Also, I remember C&C discussing Grimmett in the train :) Clarie Grimmett was dropped by Bradman for that tour on account of being too old! O'Reilly however ensured that Aus retained the Ashes.